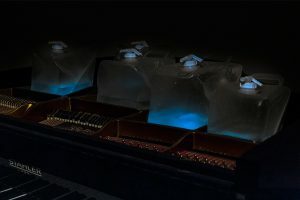 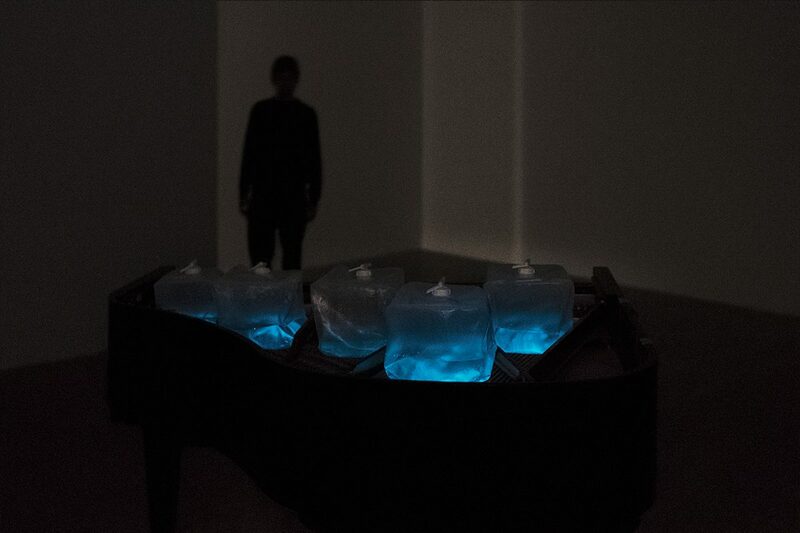 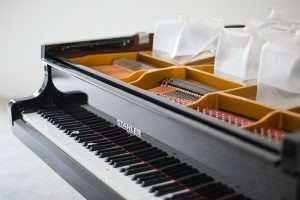 In a completely dark room, transparent canisters filled with seawater and mono-cellular algae (Pyrocystis fusiformis) are placed on the strings of a piano. 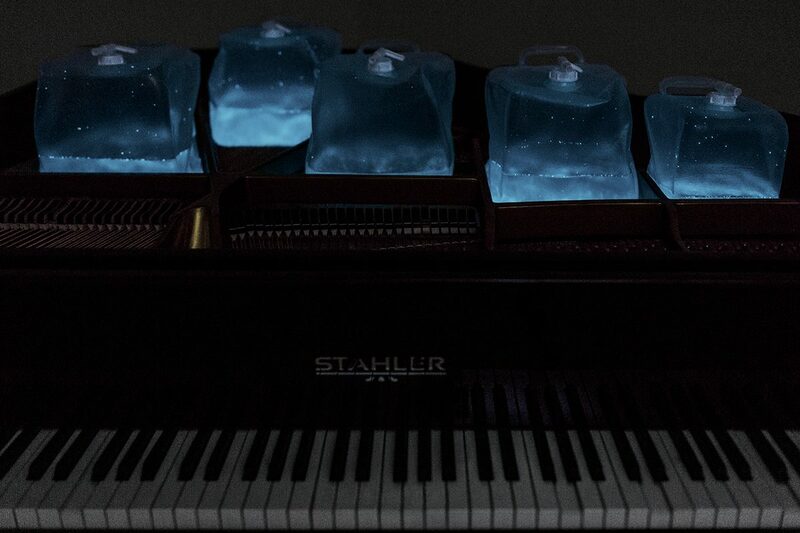 The plankton reacts to the vibrations of the instrument by emitting a natural blue light (bioluminescence). For 13 minutes the music grows increasingly complex following the logic of cell division (2, 4, 8, 16, etc.) until the maximum is finally reached and the composition ends in the complete extinction of sound and light.